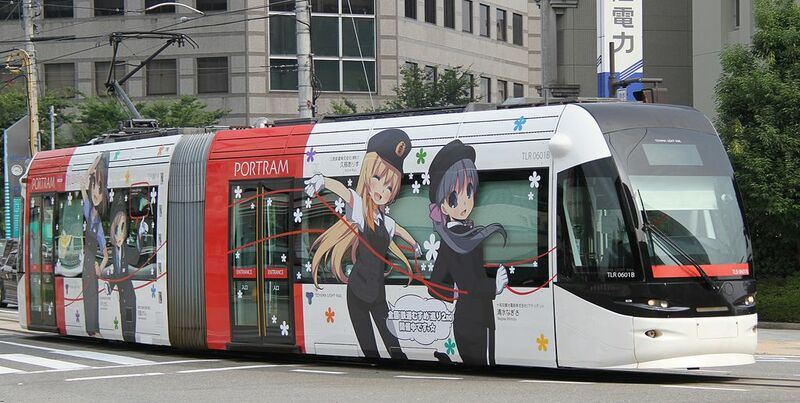 Toyama Light Rail put a “Railroad Girls Wrapped Train” into service in July 27. 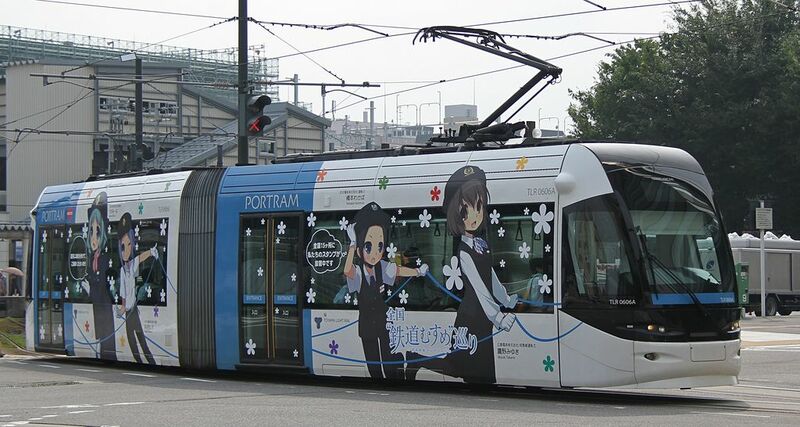 The 15 railroad girls are holding the same rope in their hands, which refers to both “densha gokko” and “every railroad girl in the country is linked together” at the same time. 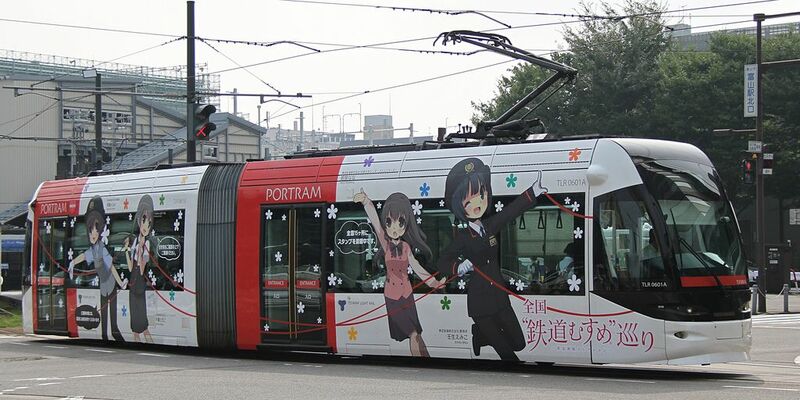 The wrapped train will be running until Sept. 30, the same duration as the stamp rally.